I've been teaching various outdoor sports almost 20 years now and have been extremely lucky with this career taking me all over the world; living and working in various places in Europe as well as Canada. Having spent over a decade in Scotland full time since 2007, and becoming a first aid trainer, I have trained 1000's of candidates and helped several organisations with their emergency action plan protocols by running scenario days for their staff. I'm now lucky enough to call the Alps home and continue to work behind the scenes, and with clients in the UK and Europe. I am the person at the other end of the telephone or email, helping you arrange your First Aid Course. 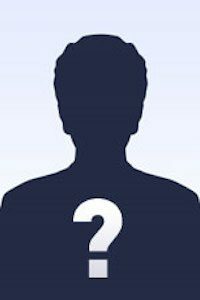 I bring over a decade's experience as Operations Manager for a large international training company into the Co-operative. Prior to that I spent time living and working in the Italian Alps, a place I still spend a lot of time in. When I'm not at work I enjoy spending time with family and friends, especially if a good meal is involved! I really enjoy cycling and skiing and being out in the fresh air, as well as flower arranging which I've done for several friend's weddings. I've worked in the outdoor industry for over 20 years, and started running first aid training courses with the Red Cross in 2001. 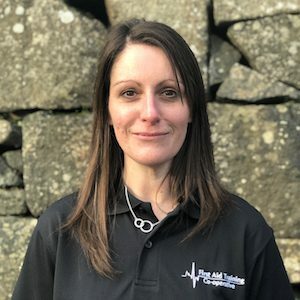 Since 2005 I've been an accredited ITC First Aid Provider delivering both HSE approved first aid courses and SQA accredited outdoor first aid training. In 2012 I passed my Wilderness Emergency Medical Technician course and now run courses from Kenya to Kirkwall! As part of the Co-operative I run the company Outdoor First Aid Limited. Ali Cameron was the first trainer to complete our Trainee Induction Programme. 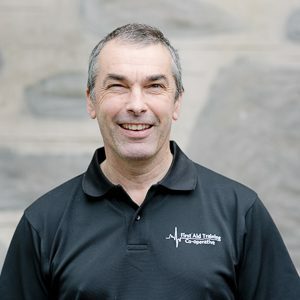 As well as delivering first aid courses for the First Aid Training Co-operative, he is the founder and senior instructor at Cameron’s school of Martial Arts teaching Kempo Ju Jitsu & Tang Soo Do, running classes across northern Scotland. Ali also does freelance work as an outdoor pursuits/activity leader and in the past has worked in the manufacturing industry, forestry industry, and as a self employed wood cutter! If not working, you'll find him hill walking or cycling most commonly. Sam Hillcox has been working in the outdoor industry for over twenty years. 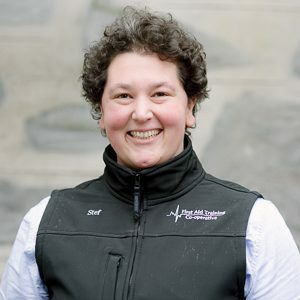 A trained science teacher and ecologist, Sam spends most of her time working in field studies, and has practiced outdoor first aid with groups in the UK, and overseas on expedition from the High Atlas Mountains to the jungles of Borneo. 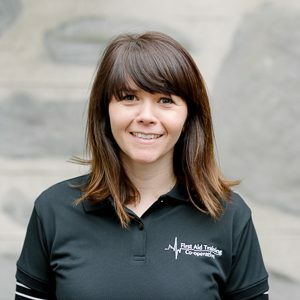 She is a skilled and enthusiastic teacher with plenty of hands-on experience dealing with first aid incident management. This background places her ideally as our school's expedition and specialist and she'll be delivering courses for us across the world! 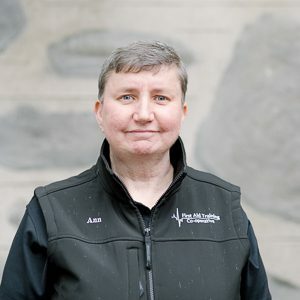 Ann has been working in the Scottish countryside for almost 30 years and has an extensive knowledge of the world of rangering, volunteering and conservation sectors. She has particular skills in planning training events and conferences, event management, environmental education, agriculture and forestry operations. Ann is returning to first aid training and is keen to deliver courses relevant to the varied sectors she has worked in. Outside work, she keeps active doing surveys, playing percussion in a band or doing a variety of crafts, and so her lifestyle ranges from quiet pursuits to very very loud! 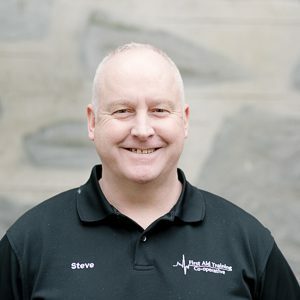 Steve Welsh is our pre-hospital care expert and as well as his responsibilities for the Co-operative, is a full time as a paramedic on the Scottish Ambulance Service's Special Operations Response Team. He is also a swift water & flood rescue trainer and is responsible for setting up this training for the emergency services nationally. When he's not saving lives or training others to do so, he's a keen kayaker and skier, so is invariably to be found somewhere wet or cold! Marianne provides invaluable office support and works closely with Lorna on course management and certification. She is a qualified and experienced Maths teacher and also runs her own maths tutoring business, all whilst raising 4 children! She is a keen runner and is generally happiest outside, as long as the sun is shining! 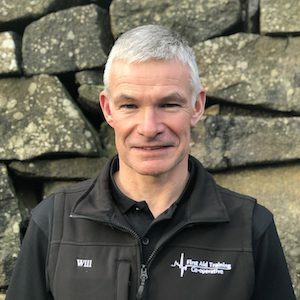 Alan Dobie comes to first aid training after a career in conservation with Scottish Natural Heritage - supplemented by 30 years of outdoor activity, up and down hills and on water. 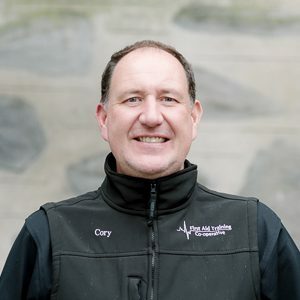 Alan was drawn to first aid training by its practical focus and core message "Saving lives is about doing simple things well", and he is inspired by the ability of good first aid training to make a real difference to communities. 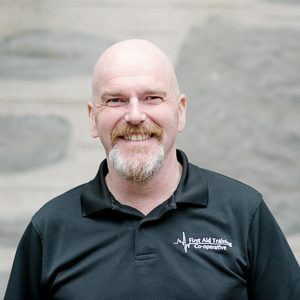 He mainly delivers first aid courses in the Highlands and is particularly interested in delivering first aid training to young people. 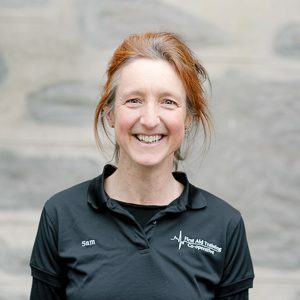 Aline Hill is based near Edinburgh and has been facilitating creative outdoor learning, including Forest Schools for ten years, and helps to run the Forest Schools Training Company. 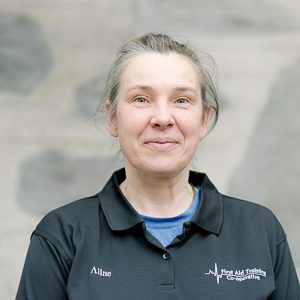 Aline is our Forest Schools Specialist, delivering Forest School and Outdoor Woodland Learning First Aid courses as well as our 2 day Outdoor First Aid course and Emergency First Aid at Work courses. Aline is a keen kayaker too, and mother of a young son who keeps her on her toes! In her spare time you are most likely to find her with her walking boots on out somewhere in the Scottish hills or ticking off yet another Stevenson lighthouse. Will Manners is a highly qualified outdoors instructor and until recently was in charge of outdoor education for Highlife Highland. Previously he has worked variously as an expedition leader and operations manager at the highest level. As well as First Aid Training, Will now runs his own outdoor instruction company: freewilloutdoors.co.uk, taking clients walking, mountaineering, climbing, mountain biking and skiing. 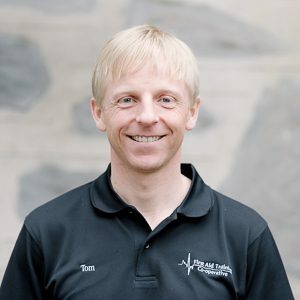 He is also an active triathlon coach and competitive triathlete and spends much of his spare time training! Could you become the First Aid Training Co-operative's next trainer? We are a growing business and are constantly on the look out for skilled, dynamic and inspiring individuals with relevant industry experience to train up as First Aid Trainers. For full information, head over to the Become a Trainer page where you can download our Trainer Information Pack. Have a read then get in touch to discuss your next steps! 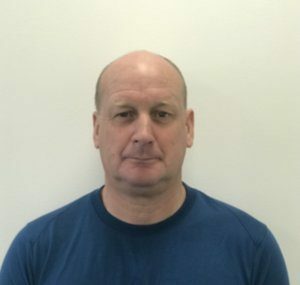 Tony Powell has been working in the outdoor sector for the last 15 years, educating both adults and children in a variety of outdoor pursuits including mountaineering, climbing, kayaking and canoeing. Tony has used his skills in various areas all over the world most recently training the armed forces in the UAE. However as well as First Aid Training, he now also teaches outdoor education to Scottish school pupils. He is an active member of Scottish Mountain Rescue and held the position of training officer until recently. We are always on the look out for existing businesses to join the Co-operative. We can provide all of the benefits of a larger organisation, while allowing you to retain your own business and clients. Enjoy being a trainer again with other like minded and skilled trainers in our network. Check out the information and download the document on the Join the Co-operative page, then get in touch to discuss your options.